Eurovision 2016 is still the guts of a year away, but already speculation is mounting as to what countries might make their debut in Sweden. On the eve of this year’s edition, China’s head of delegation confirmed that they were exploring participation options. The next day, a Kosovan politician tweeted that he knew the partially recognised state would participate in the 2016 contest. Both events sent the rumour mill into overdrive… until today, when the EBU denied that either country would be taking part. The denials were made on Twitter in answer to fan questions. Interestingly, there is a subtle difference in the responses. On Kosovo the wording was unequivocal – Kosovo “cannot take part in Eurovision”. In contrast, there are “no plans for China to take part right now”. Does this mean we should expect a Chinese participation sooner rather than later? And after Australia’s unprecedented “guest” spot in Vienna, is it even safe to completely rule out Kosovo? Share your thoughts below. Kosovo at Eurovision: Yes or no? China at Eurovision: Yes or no? As a chinese, i would prefer that China will not participate. Otherwise, due to the voting system, China will definately win (as there are many chinese all over the europe), which will make the Eurovision less fun. Hope they invite Argentina this year…we are huge fans of the show…the first south american 12 points! A dream to be come true!!! kosova really need to be part of eurovision kosova is in europe austalia is not azejbarchan is not and they are in eurovision why kosova cant and thanks guys for suporting. OMG don’t believe anything until the official list from EBU about participants in 2016. Australia was announced as a participant in February 2015. So it’s not official for China. And Kosovo have a hope to participate. Do you remember also, the returning of Italy in the official annoucement of the participants? So Andorra Luxembourg which have announce their no participation it’s not official! I hope to no see Australia at Eurovision 2016, because of voting from their one jury members. We read about that on this bloggs. Because to provokate Serbia, and they have huge suport in countries like USA, Germany, UK …who support war at Kosovo in 1999 and then declaration of indepedence without support from Serbia and UN. China … no comments … Let Iran take part, why not? More great music, but not an avalanche of countries to point of too much, please! 50 European countries are taking part in the first European Games in Baku next week. 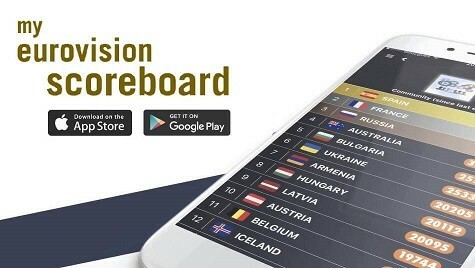 Kosovo will also compete there, together with Serbia, Russia, Spain and all the other countries that don’t recognize them. And no one even thought for a second to withdraw, not even Serbia. So I really doubt it Serbia will boycot Eurovision if/when Kosovo joins! Or anyone else. European Games and Eurovision are both international contests, only in different things. Turkey is also an European country. Istanbul is on the European territory. Moreover, Turkey is a candidate to join the EU. In Kazakhstan there is a Polish minority. So I would add also Poland. It would be great to see Kosovo, another nation, another opportunity to build ties and for healing of such a fractured part of the world. Australia PAID to be included in Eurovision 2015. This was done through a deal with the network that televises the competition as well as through Sony Records (Guy Sebastian’s label) to expand Guy’s music into the European market. As I stated a few days ago, we cannot rule out anything regarding China and Kosovo after Australian case. The EBU is able to change every rule. The door has been opened. I’m only curious what made this Kosovan politician to announce the debut without the EBU’s approval? All that I ask is that whoever is permitted to participate, it should be done within the contest’s established rules for that year. It hurts the credibility of the contest when the organizers unilaterally suspend several rules after song submissions have already started, the way they did this year with Australia. China is TOO much a stretch. Australia makes sense at least cause of some historical ties. China has absolutely nothing in common with our current countries. As for Kosovo, you would definitely see Serbia withdraw and likely the others that don’t recognize it. The EBU does not want to cause conflicts between members so it is the right decision to hold off with Kosovo. I’m gutted that we won’t be seeing Kosovo in Eurovision. But I’m kinda relieved that China won’t be taking part. It’s way too soon for them to be taking part. One country I’m eager to see in Eurovision in Kazakhstan. Even if it means another 12 points to Russia or Ukraine. Am I the only person who thinks China participating would be cool? Okay, if you say so. Nice username btw. @Deniz: The buildup for Australia started even before Eurovision 2014, especially when they invited Jessica Mauboy to sing. Come 2015, it happened. Book this one. I think we will see China in Stockholm next May. I’ve got short money on it, even though I still believe they’d sooner go to South America first, and get Brazil. That actually makes complete sense. China is an Asian country, therefore doesn’t take part in Eurovision. There are already a few Asian countries in Eurovision: Georgia, Armenia, Azerbaijan, Turkey, and Israel. But Kosovo? For me Kosovo is a part of Serbia, so Kosovars are admitted as Serbians or Albanians in Eurovision. I’d rather have Kosovo take part, than China. However I don’t think either should take part. China shouldn’t take part as one, they are not even a member of the EBU in any form, two they have no Eurovision History, and three has not really got the European links Australia has. However, I would like Kosovo to take part. But I don’t think they should, as the geopolitical situation is still difficult to get over, and it could risk withdrawals from the nations who don’t recognise Kosovo. NO China it’s the Eurovision song contest not Asia as all ???? To ditch Australia now would be so unfair. Let Australia stay, say no to China and say yes to KOSOVO when fully recognised and has EBU membership..simple. the asian nations like kazakhstan, china and the others will never stop trying to join eurovision unless asiavision becomes a reality. Australia’s participation this year was fun, it was a celebratory year and it’s always great to mark a special occassion. And in 10 years time fine invite them back for another party. But until then can we please let Eurovision be Eurovision. I doubt China will take part, Australia was interested in Eurovision due to the european population living in the country. In China, nobody watches Eurovision (or even know what it is). BUT they could be asked to send an interval act. That’s interesting. I’d love Kosovo, but inviting China would be overkill on the non-European thing. I would like Australia back though if they continue with high quality acts like Guy! They didn’t seem to rule out Australia’s participation though. Interesting to see if we will have another Australian entry next year. Never trust the word Rumour. I always do, and I always fail.